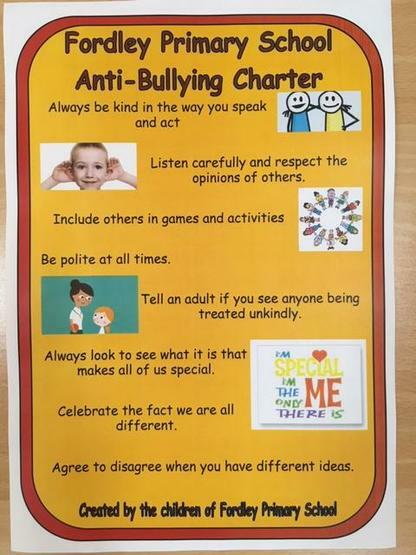 This week has been anti-bullying week with a focus in school on respect for each other and our own uniqueness. The children have created an Anti-Bullying Charter of how they would like everyone to treat each other in school. This has been shared with all classes today and displayed in all areas of school to remind us all of the importance of respect. Later today the School Council will be meeting to review our 'Anti-Bullying Handbook for Fordley families and children'. We will send an updated version out to all families next week.